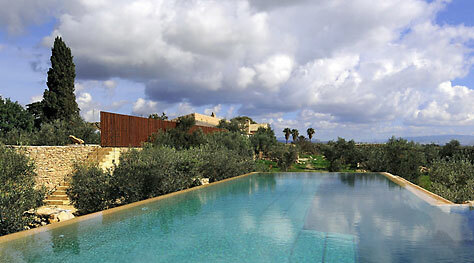 Five hectares of earthly paradise in Agrigento's Valley of Temples. 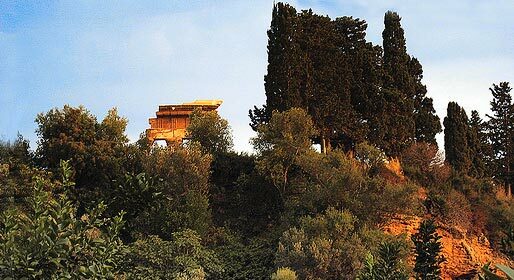 For years, Sicily's ancient Kolymbetra Garden, in Agrigento's Valley of Temples, had been left abandoned. 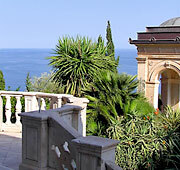 It was only in 1999, when the FAI (National Trust for Italy) was awarded free concession of the garden by the region of Sicily for 25 years, that the five hectare garden was restored to its original splendor. Today, once again, Kolymbetra represents an enchanting concentration of the ancient agricultural and natural landscapes of Southern Sicily: an earthly paradise amidst the century old olive trees and archeological ruins. Thanks to the restoration of the garden, visitors are able to explore the Mediterranean shrub rich in pistacia lentiscus and broom, and make their way through the myrtle and tamerix to reach the citrus grove, with its many ancient varieties of lemon, orange and mandarine, which are irrigated using a system based on that realized by the ancient Arabs. Over the centuries, the Kolymbetra Garden has provided inspiration for great poets. Pindaro and Virgil, the Sicilian playwright, Pirandello (who mentioned the gardens in his novel "The Old and The Young"), and the contemporary writer Andrea Camilleri were all bewitched by the charm of this small valley of Eden between the temples of Dioscuri and Vulcano. The Greek term "kolymbetra" indicates a basin of large dimensions, rich in water and transformed into a garden and nursery. 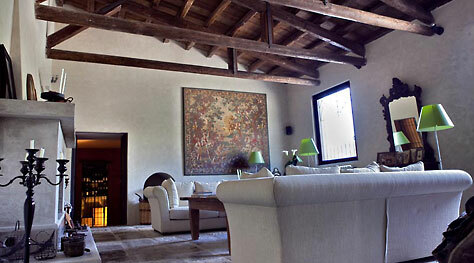 Its origins date back to the time of the Ancient Greek colonization of Sicily in 500 B.C. and the construction of the city of Akragas. The waters which make this park so green and fertile are channeled along the ancient Feaci aqueducts which, quite incredibly, continue to function some 2500 years after their inauguration. It is believed that Kolymbetra was originally used as a pool in which fish were farmed, for banquets. As they walk through the luxuriant valley, filled with the scent of the orange blossom, in the shadow of the Temples, today's visitors experience a landscape which recounts centuries of history. 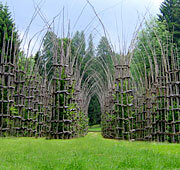 Kolymbetra Garden has been selected as finalist in the 2010 edition of the "Most beautiful park in Italy" competition.